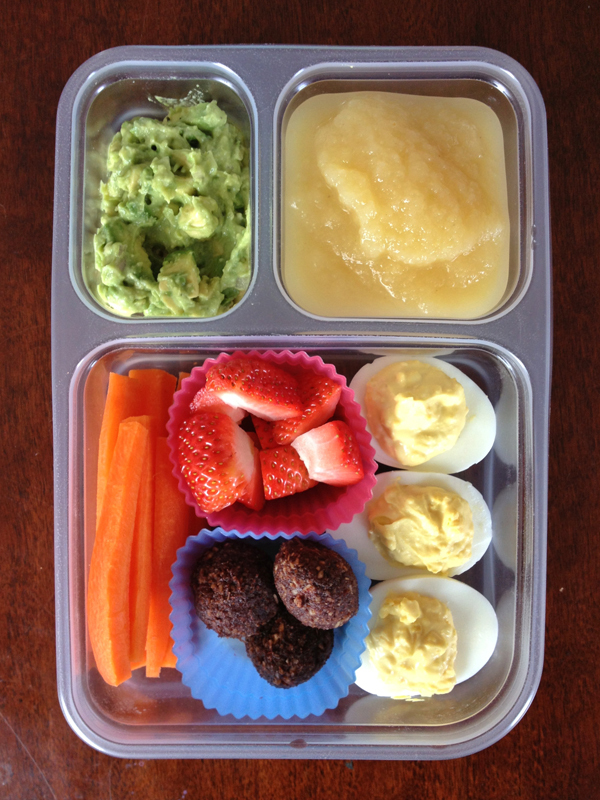 Eat Live Grow Paleo : Paleo Lunches for Kids ... or maybe the office? 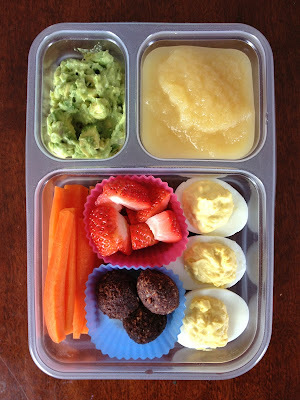 Paleo Lunches for Kids ... or maybe the office? It always surprises me when all the Back-To-School ads start. 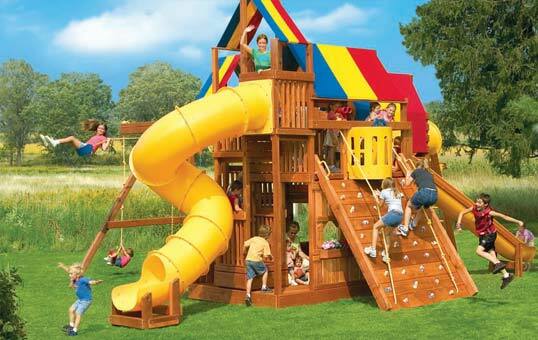 It seems way too soon for the summer to be over, but I know many of you with young children are probably looking forward to school starting. With that in mind, when you're busy stocking up on school supplies you might want to give some thought as well to those lunch boxes you will soon be packing. 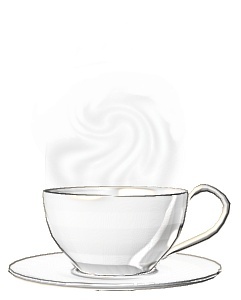 I haven't had school age children at home for over a decade now, so I thought I'd do a roundup of ideas from other Paleo parents who obviously still do. And if you're thinking since your young, single, and fancy-free this totally doesn't apply to you, don't be so quick to judge. You just might find some great ideas here for your next office lunch bag. "I try to balance out their lunches with a protein (usually eggs, meat, or egg/chicken/tuna salad), some fruits and veggies, and then a little snack (like dates, homemade Larabars, trail mix, applesauce, etc). It’s never really the same and I think they really love it that way. And the lunch boxes always come back empty so I know they really do love it." 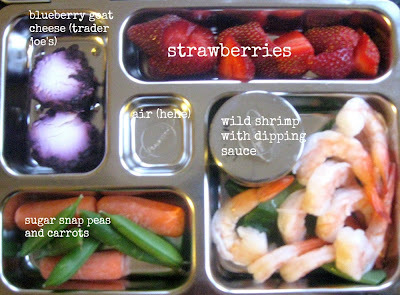 She has some great photos of 9 different lunch boxes (see the example above) as well as a list of foods that she uses to fill them. 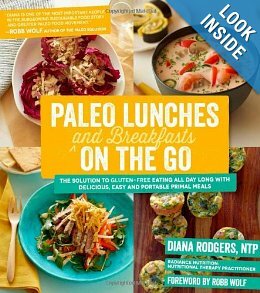 Nom Nom Paleo is currently running a 5 part series with recipes for some tasty-looking lunches that anyone would be happy to have. 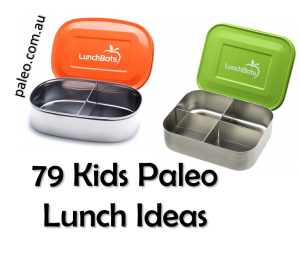 Paleo.com.au has an article with 79 ideas for Paleo lunches. There are sections on wraps and sandwiches, Protein options, Something Special, salads, dips for kids .. and a lot more. 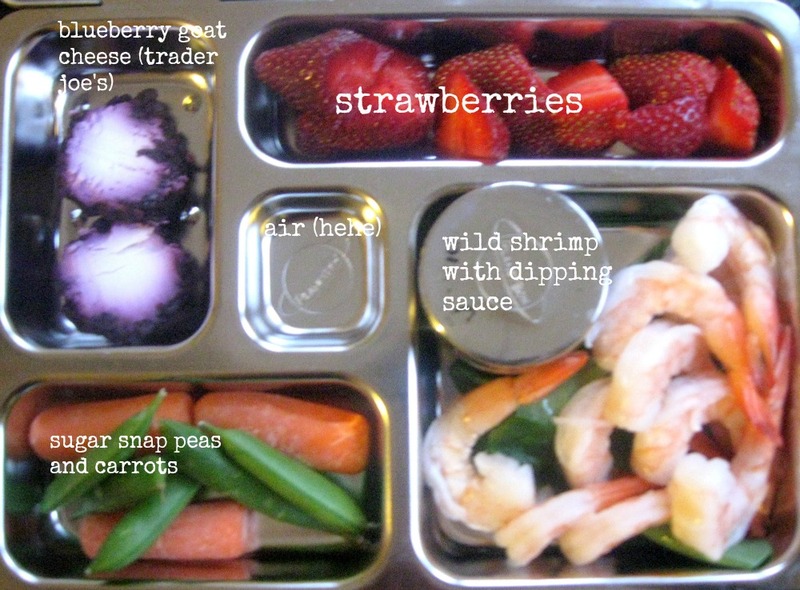 At Primal Bliss Kathryn has written a great article with a month's worth of menu ideas, including lots of great photos like the one above that allow you to see exactly what's in each lunch box. 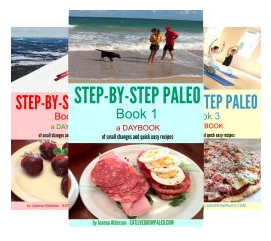 In the Amazon preview you will find a lot of great information, as well as several wrap recipes. Chicken and Peach Firecracker Wrap and Portable Tuscan Wrap are just two examples. 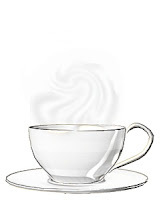 There are many other great ideas here for on the go food - many of which are new and innovative - plus lots of great photos to show you exactly how delicious these recipes are. All in all, this is a terrific addition to anybody's cookbook shelf. When you're buying school supplies you might also want to pick up some lunch containers. Having the right container makes packing the right food a lot easier. Here are a few to consider. 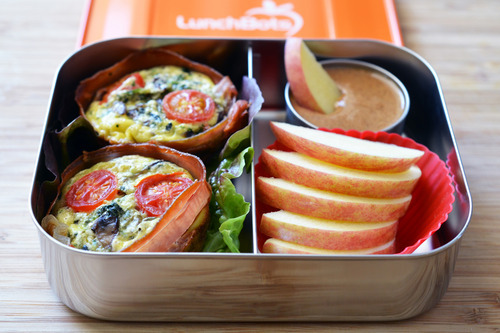 Whether you're packing lunches for your children or just for yourself, giving some thought to filling them with healthy Paleo ingredients will keep you all healthy, happy, and with lots of energy for all the things you want to do during the day.